Choosing to support an animal with a monthly contribution of £15.00, £10.00, £5.00 or £3.00 is one of the most generous things you can do to support them. Setting up a direct debit with GoCardless is completely safe and you can cancel at any time. It only takes a few clicks! 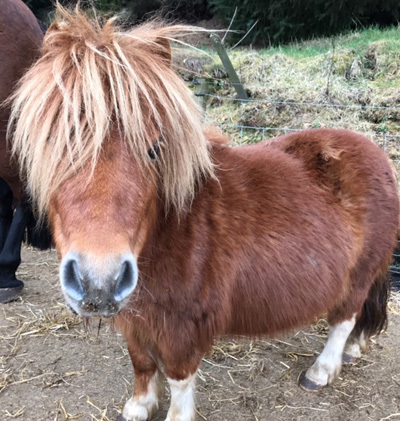 Willows needs your help to sponsor these animals to help pay for essential bills such as veterinary care, food, physiotherapy and other crucial running costs. Click here to sponsor us for £10.00 per month! Click here to sponsor us for £5.00 per month! Click here to sponsor us for £3.00 per month! Hello, I'm Penny - in the top picture are Daisy and Bertie - my babies. I'm in both the other two pictures. We’re a family and we are very close. We came to Willows a few years ago when our owner was instructed by Animal Health to move us on as our living conditions were so bad. 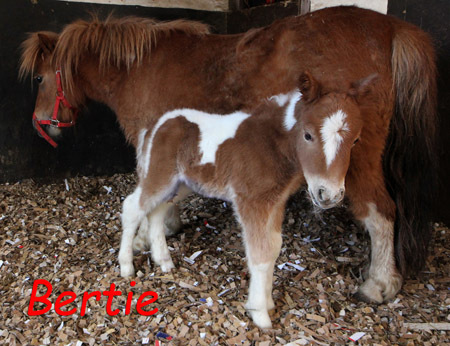 We were living with no shelter or basic care and I, Penny, was expecting a second foal Bertie. 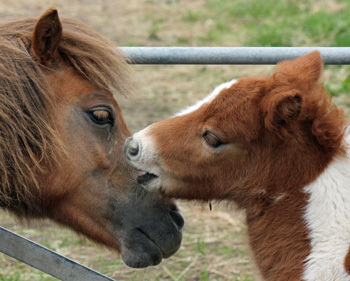 The conditions were so bad I feared my new foal would die if I gave birth in the mud. Fortunately, Willows gave us the much needed sanctuary and Bertie was born safely. Willows has often had to intervene in these types of situations over the years. People get animals on a whim, and then don’t follow through with the much needed and very expensive care. Our old owner has never even been in touch to see how we are and it seems like we just didn’t matter enough to bother with. Click here to sponsor Merry for £10.00 per month! Click here to sponsor Merry for £5.00 per month! Click here to sponsor Merry for £3.00 per month! Hello, my name is Merry. I was rescued by Willows many years ago. Me and my friends were very badly neglected, we lived in a field with no shelter and we had to stand in mud past our knees. Our owner kept forgetting to feed us and generally didn’t take good care of us. We had overgrown feet, no vet or dental care and we all had lice which were making our lives unbearable. On a particularly cold winter's day, a lady from Willows arrived to see us. Our owner’s neighbour had insisted that something was done as we were starting to suffer with the harsh weather. Other, bigger charity representatives had been out, but they had just left us in these terrible conditions. The Willows rep promised she would help and came back the same day with emergency transport to take us away. I can’t tell you what a relief it was to finally be in a dry stable with hay and straw and the next morning the vet and farrier came out to sort our feet and other ailments. I don’t have any sponsors at all and I would really love some! If you choose to support me, you’ll get a free visitor’s pass and you’ll be able to come and say hi to me and all my friends! It’s also an ideal way to get your pony fix if you love horses and ponies, but can’t care for one! Click here to sponsor Penny for £10.00 per month! Click here to sponsor Penny for £5.00 per month! Click here to sponsor Penny for £3.00 per month! My name is Penny and I now live happily at Willows with all my friends. Life wasn’t always so easy though. I was suffering from terrific back pain in my last home and my owner couldn't ride me because I'd rear up in pain. She said I was no use to her and she phoned up Willows and said if they didn't take me in, she would send me to market. At 25, I'm an older pony and I was most likely to end up being made into dog food. To say that I’m a lucky pony is an understatement. Even though they were very full, Willows saved my life and I’ve been able to have happy a retirement. It's very hard when you do your best to then to be discarded as useless and sadly, this seems to be acceptable to many people. There are lots of us at Willows from situations like this. Although some have come from loving families of people who have suffered unforeseen circumstances, lots of us, sadly, have just been forgotten. I would really love some sponsors. Please consider choosing me! 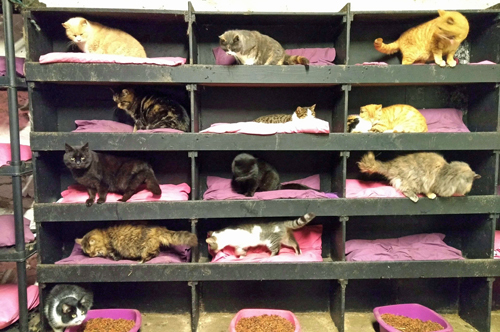 Click here to sponsor the Cat Hotel for £15.00 per month! Willows specialises in taking in cats who are not house trained or have psychological problems or are feral. 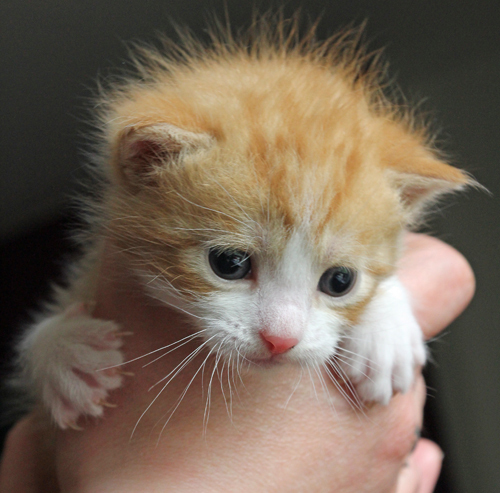 At the moment we have over 65 cats, many have suffered hardships or were simply unwanted. Some had loving families that experienced a change in circumstances and were forced to give up their pets. 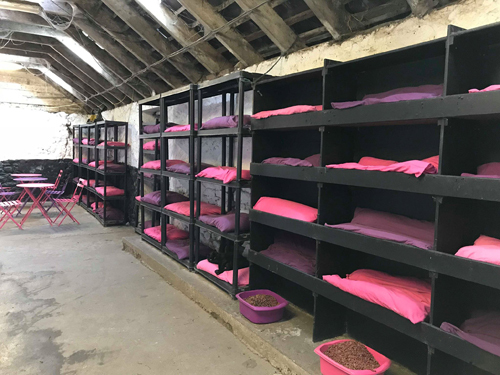 Our cat welfare unit comprises of a cat’s hotel, where all our residents are completely free to come go and free range over lots of barns and fields as they please. There is also a dedicated cat hospital and hospice for those needing medical treatment, check- ups or those who need a little TLC. Every cat is neutered, vaccinated, wormed and is checked regularly by our staff and vets. They receive lots of fuss from our staff, volunteers and visitors. If you’d like to make a difference and support our good work please click the link at left - it is quite safe and you can cancel at any time. For a gift of £15 per month we’ll pop your name on this special supporters board, give you a free family pass and send you a supporters pack. Click here to sponsor Free Spirit for £10.00 per month! Click here to sponsor Free Spirit for £5.00 per month! 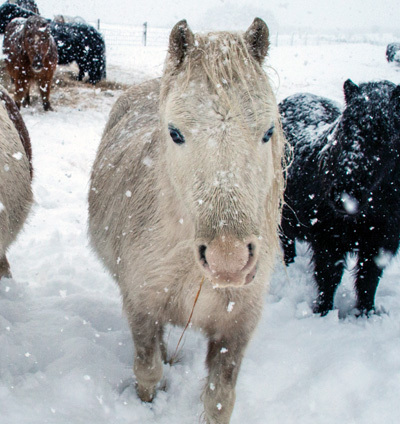 This Shetland pony's life was almost ended before it had begun! 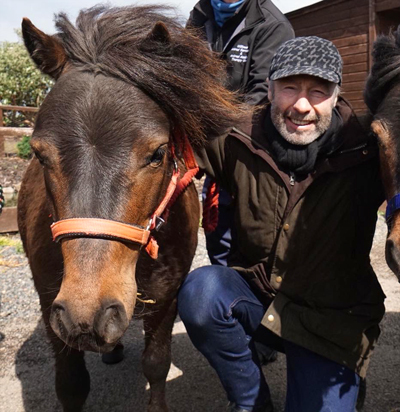 Our amazing patron, Paul Rodgers, has very kindly agreed to become Free Spirit’s first sponsor and is fronting the appeal to find him and his animal friends some sponsors! 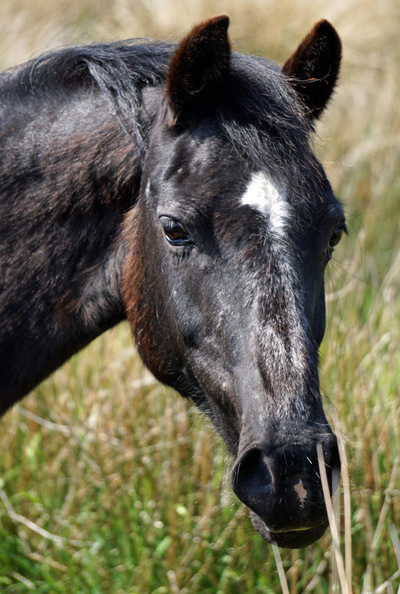 Free Spirit's mother and father were part of a serous welfare case. Their owner was taken court and the ponies were facing slaughter, even though Carley was in foal with Free Spirit! Fortunately, a concerned party contacted Willows and were able to provide this little family a safe home! Free Spirit was born safely after their arrival and has never known any hardship. When we first saw how bright and energetic this little colt was, it seemed only right to name him Free Spirit after Paul’s band Free. He’s a very special pony and is all right now! We’re hoping to find more sponsors to help continue to support him and other less fortunate ponies. For a donation of £10 per month we will send you a free pass to visit him at Willows plus a Willows supporter pack. We’ll also keep you updated on his progress via a dedicated Facebook group. Click here to sponsor Ruby for £10.00 per month! Click here to sponsor Ruby for £5.00 per month! Ruby arrived on the 30th of December 2018. Her owner asked if she could come to Willows because she hasn’t grown very well (she’s tiny!) and she wouldn’t be any use for breeding from. 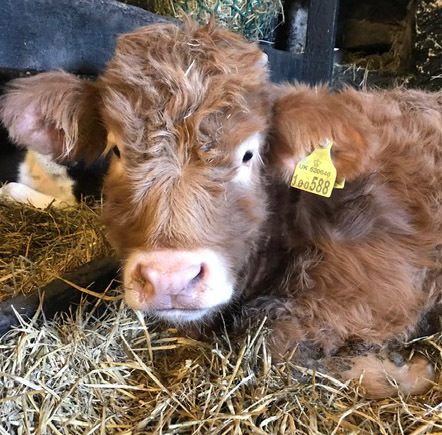 Ruby is the perfect friend for our calf, Ralphie, and he was just delighted when he met her! 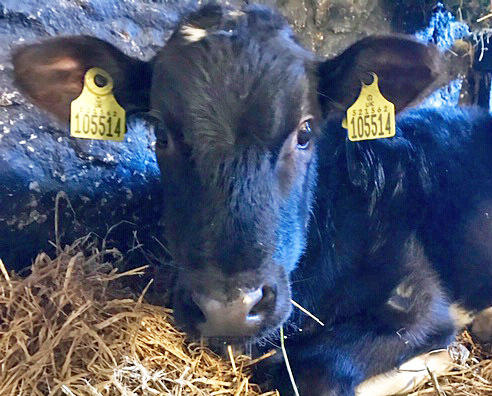 She has been checked over by our vet and apart from one or two small issues, she is a healthy young cow and he thinks she will thrive here and will hopefully grow a bit more. She is 9 months old but is the same size as 12 week old Ralphie! She’s an absolute darling and has settled in very well already. Click here to sponsor Ralphie for £10.00 per month! Click here to sponsor Ralphie for £5.00 per month! Ralphie is from a dairy farm and was rescued by a very kind person. When she learnt of his fate (after an educational trip to the farm) decided that she would never sleep again if she didn’t save him! Ralphie's rescuer managed to buy him for the owner and contacted Willows about giving him a home. Fortunately we had space and were delighted to help! Ralphie is one of the most gentle and loving souls you can imagine and absolutely loves people. Click here to sponsor Janet for £10.00 per month! Click here to sponsor Janet for £5.00 per month! I'm a Jacob sheep. Although my life started out badly, I'm pleased to say that's not how it will end. Our owner subjected us to terrible neglect. 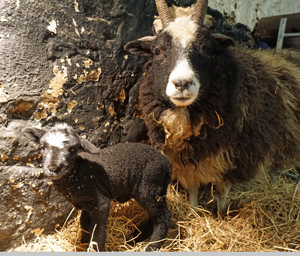 When my last baby was taken from me, I became very ill with mastitis and it was left untreated so my udder was left scarred and I was unable to provide milk for any future lambs. It was extremely painful but our owner did not care and I was put in lamb again anyway. The next thing we knew, he’d abandoned us! He extracted all he could from us and then vanished, so we had to fend for ourselves. Lots of my friends became ill with things like foot rot, fly strike and malnutrition. Officials were called and they said to fatten us up and send us to slaughter, even though many of us were in lamb! A kind lady became our advocate and vowed she would find us a home. It wasn't an easy task, there were 17 of us in our flock and many of us were pregnant so it was a big rescue for any sanctuary to take on. After a lot of searching she finally found somewhere willing to accept us and we were transported to Willows. When we arrived at Willows, we were given medical care, we had our feet checked and we had plenty to eat! A couple of months passed and we started to have our lambs. My birth was very difficult as my little one got stuck and I needed assistance. The kind staff were there though and I got through it and when Poppy was born I was so happy and they told me that I would get to keep this one, unlike before when they were ripped away from me after a few weeks. But there was a problem. To my horror I couldn't feed her as it was too painful and the vet was sent for. He explained that my udder wasn't going to be able to work as it should as it was full of scar tissue. He explained that this would have been the fault of the horrible man who had exploited and dumped us. He advised that Poppy be taken indoors ASAP and given artificial colostrum as she was becoming weak. I cried and cried for her to come back and I could feel my heart breaking with each moment that passed. Later that day though, they brought Poppy back! I cried out in delight when I saw her and I just couldn’t believe it. The staff had worked out a plan to keep us together. We would have a little pen together and everyone would take it in turns to feed Poppy for me even if it was late into the night, and that’s exactly what they did! Through the dark and the snow, they turned up every three hours with a bottle for her! Sometimes they would even turn up in their pyjamas with a bottle in one hand and a cup of coffee in the other! I wanted to show them how grateful I was so when she was feeding, I would put my head close to theirs to show them that I understood. Poppy is a big strong girl now and to know that I will be able to live out my days in safety at Willows with her is priceless. I don’t have many sponsors because most people aren’t really interested in sponsoring a sheep as we’re just seen as food. Can you sponsor me? Willows are only asking £5 per month and if my place is supported then the resources can be used to help another distressed sheep. Thank you for reading. Click here to sponsor Minstrel for £10.00 per month! Click here to sponsor Minstrel for £5.00 per month! Click here to sponsor Minstrel for £3.00 per month! That's me on the left. I was rescued by Willows a few years ago. I was very neglected and my feet were very long. I used to dread the bad weather as me and my family had no access to food or shelter and we were all starting to suffer badly. It seemed hopeless and one of my family had started to give up on life but I urged her to stay strong as I knew help would come. Just as I’d started to give up all hope, a kind lady appeared with a horse box and we were all loaded on board. When we arrived at our destination, I could hear lots of happy chatter from all sorts of animals including other donkeys! We came to a stop and the ramp was lowered and we walked off the horse box into our new home. At Willows there was a collection of stables with happy looking horses and donkeys munching on hay and enjoying safety from the cold outside. There were three Peacocks perched in the rafters and happy looking cats cuddled up in warm beds! I felt like we’d all gone to heaven! The kind people told me that it was all over now and that I would be looked after for ever and I didn’t need to worry anymore. And you know what? I never have! Would you like to be my sponsor? 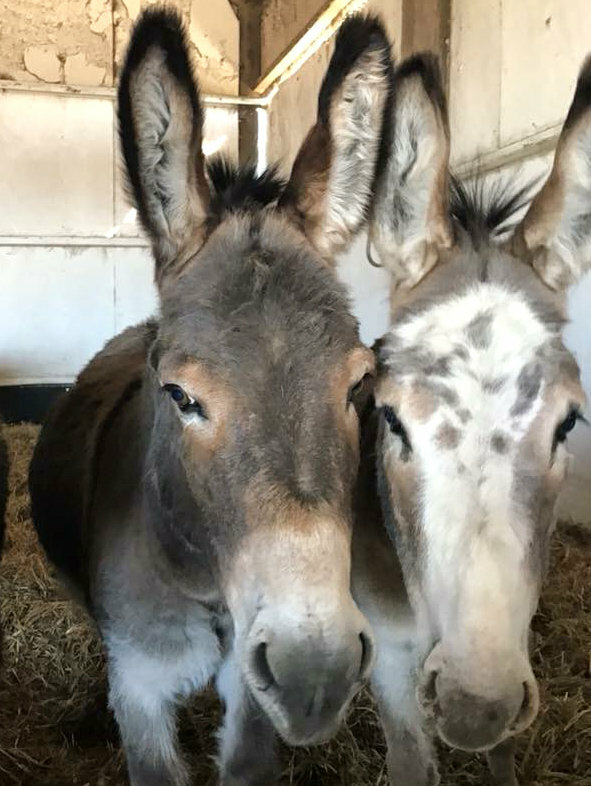 If you can afford to spare £10 per month it would make a big contribution to my care and you’ll get a Willows supporter pack and you’ll get to visit me and the Sanctuary for free! And you’ll even get your name on the sponsor list. I don’t have many sponsors and I’d really love some more! Click here to sponsor Daphne for £10.00 per month! 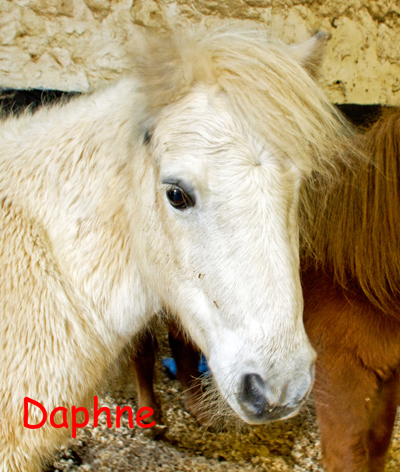 Click here to sponsor Daphne for £5.00 per month! Click here to sponsor Daphne for £3.00 per month! This is my story. I came to Willows a good few years ago because my friends and I had been seriously neglected by our owners and we were slowly starving to death. Rats had eaten all the food meant for us and we were standing knee deep in mud. Our owner had given up on trying to care for us and one of my friends had collapsed and died of starvation. A neighbour thankfully had the courage to intervene and pledged to get us help. She called loads of charities but none were willing to help. She finally came upon Willows who took the situation seriously and were out the same day. The attending staff member who came to evaluate us was appalled at our living conditions and made immediate arrangements to have us signed over and removed. Some hours later, transportation arrived and all of my friends were loaded up and taken away. As we drove away, I wondered where we were going and if we would be alright. I was soon reassured though as when we arrived and felt the atmosphere I realised we were now safe. As we were unloaded into our stables I tucked into the hay that was there and looked around at all my new friends, lots of them like me had been saved from unimaginable suffering and were now enjoying the safety of this special haven. I’ve lived here for years now and I can honestly say that I’ve never felt frightened or hungry in that time. Please help us make the special haven even more secure by sponsoring me or one of my friends. £10 per month goes a long way towards feed and vet bills and it means that Willows can help other less fortunate animals and we’ll even send you a Willows supporter pack and you’ll get a free pass to visit me and all my friends! I'm pictured here with one of my sponsors and sanctuary patron, Deborah Bonham! She’s kindly offered to help me find some more sponsors.